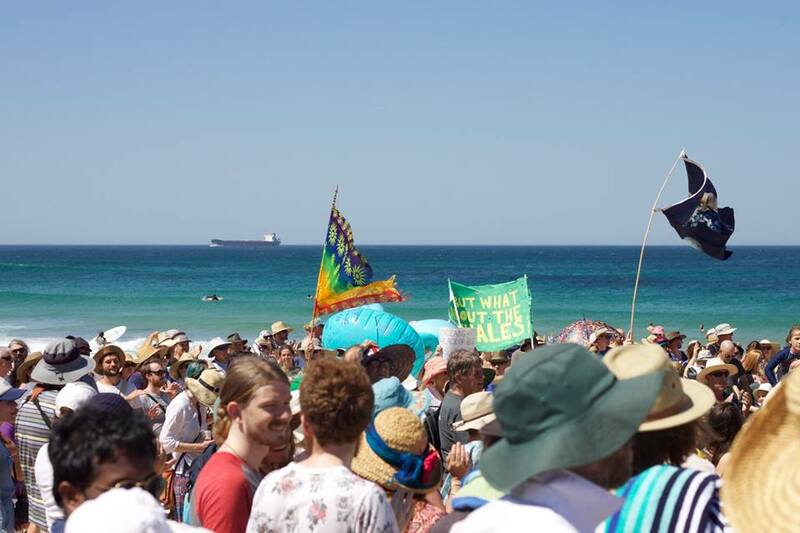 Over 500 people gathered last Sunday, March 18th to voice their dismay at Asset Energy’s approval to conduct the underwater acoustic testing in the coastal waters off Newcastle. According to the NOPSEMA webpage the testing will commence on April 9th, 2018. Asset Energy was given approval by the National Offshore Petroleum Safety and Environmental Management Authority (NOPSEMA) in January to conduct testing, which involves sending repetitive sonic blasts into the ocean floor to identify natural gas deposits. During the same month (January) Goh Hock, chairman of Asset Energy’s parent company MEC Resources, said the area in question, known as PEP11, “is believed to comprise large structural traps that provide an opportunity to potentially discover significant volumes of natural gas to supply the challenged east coast gas market and contribute to national energy security”. “Furthermore, an international marketing agency has been engaged to undertake marketing of PEP11 to suitable major international oil and gas companies and investors to fund the future exploration drilling of PEP11,” he wrote. Opponents to the testing cite previous seismic tests being the cause of a reduction in fish life in fisheries in the same area that took years to recover from, not only damaging all in the sea but those who rely upon it for a livelihood. Seismic and drilling operations have previously been undertaken by Asset Energy in PEP‐11 in the vicinity of the proposed survey area. The most recent offshore drilling campaign was in 2010. Protesters included Greenpeace officials and Newcastle Greens councillor John MacKenzie. “What we know about seismic testing, is that it has an incredibly negative affect for the environment,” Greenpeace’s Simon Black said. The Professional Fishermen’s Association have also expressed concern that seismic testing could have a detrimental impact on aquatic life in and around the test site. In February, Newcastle City Council voted unanimously to oppose offshore testing. At State level, the NSW Resources Minister Don Harwin recently voiced his opposition to the project in state parliament, saying the state was powerless to revoke the approval without Commonwealth backing. Mr Harwin said the testing was “ill conceived” and the state was opposed to extending the survey for reasons including “very significant issues in relation to marine life”. In February 2014, NOPSEMA became the sole Commonwealth environmental management regulator for offshore oil and gas activities when the Commonwealth Minister for the Environment endorsed NOPSEMA’s environmental management authorisation process under the Environment Protection and Biodiversity Conservation Act 1999 (EPBC Act). When seismic tests are to place to determine whether what they are seeking is present, only stakeholders may comment. This is limited to providing feedback on the environment, times proposed to do the tests (eg; originally these were slated to be run during whale migrations) or if this will affect another industry in the vicinity (fishers). How the tests may affect what lives in the waters does not come into consideration. In recent years a spate of 'studies' commissioned by offshore mining companies have stated this does not affect fish life or whales. Other studies, not commissioned and paid for by proponents, have found the opposite. If Asset decide to go ahead then the next stage does involved being able to provide public comment and submissions. For all offshore projects, a proponent (the company proposing the project) is required to submit an offshore project proposal (OPP) to NOPSEMA for approval. The OPP process involves NOPSEMA’s assessment of the potential environmental impacts and risks of petroleum activities conducted over the life of an offshore project. The process includes a public comment period prior to approval and requires a proponent to ensure environmental impacts and risks will be managed to acceptable levels. Following approval, as 'following approval' seems to be the norm whatever public feedback or the risks and by-products and effects on all else in the aquatic environment may be, the proponents still require environment plan(s) to be assessed and approved by NOPSEMA before activities can commence. The Rally attendees formed the shape of a dolphin on sand at Nobbys, one of the resident aquatic mammals expected to be in the seismic test zone. "There's been worldwide scientific and community opposition to seismic testing and successful moratoriums implemented," Stop Seismic Testing Newcastle founder and long-term local resident Natasha Deen said in a statement. It's "incredibly destructive" on the whole ecosystem, the rally organiser said. "The federal government has imposed this blasting on our community without proper community consultation despite protests from NSW Resources Minister Don Harwin, despite unanimous objection from our council, and despite growing evidence of the dangers of seismic testing," said Ms Deen. In the exploration for oil or gas, seismic testing involves blasts of air being fired every few seconds 24 hours a day for three to four days during that period. Air guns will also be employed to apparently deter any surface birds or mamals away from the area. The area is home to 22 threatened species, 23 migratory species and 32 whale species, according to the seismic survey environment plan. While the annual whale migration officially begins on June 1, whales can be seen off the coast as early as the second week of May, Greenpeace Australia Pacific senior campaigner Nathaniel Pelle has previously told AAP. Sometimes they come north even earlier. 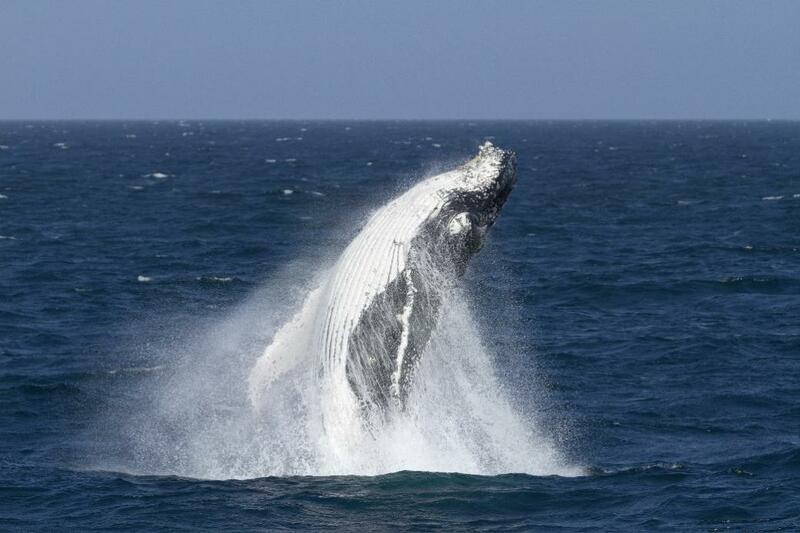 "Whale sightings off the coast of Sydney are an almost daily occurrence from the second week of May meaning there's a high likelihood that seismic testing could impact these much-loved creatures if it goes ahead at the end of the approved window," Mr Pelle said in a statement. Petition: No gasfield off Newcastle and the Central Coast! (Wilderness Society).